Local police are saying the dog can't stay with his new adopted family after receiving calls from police claiming it is a pit bull. The breed is banned from the family's Metro Detroit township. The owner, musician Dan Tillery, simply wanted to adopt a dog, when he found Diggy. The companionship was clearly mutual, as evidenced by the photo of Diggy's million-dollar smile. Police will have to investigate further to determine whether the shelter's classification was correct or if he falls into the pit bull breed. 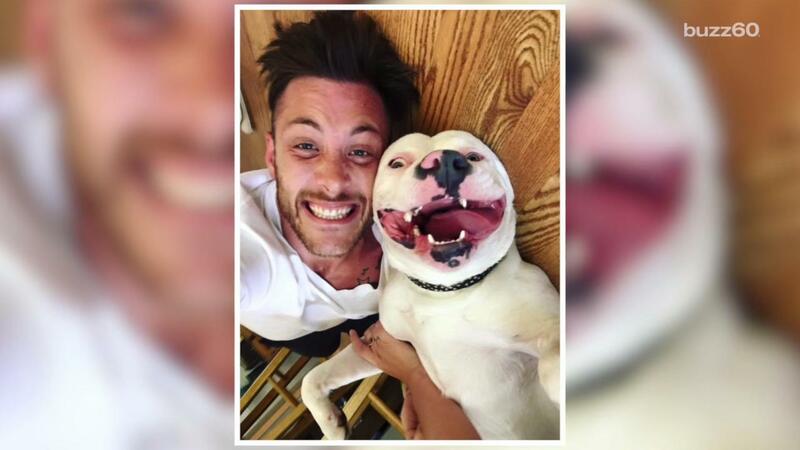 Still, the township's ordinance that bans pit bulls gives officers the freedom to confiscate a dog if they believe it just looks like a pit bull. This sounds like a case of doggy discrimination.